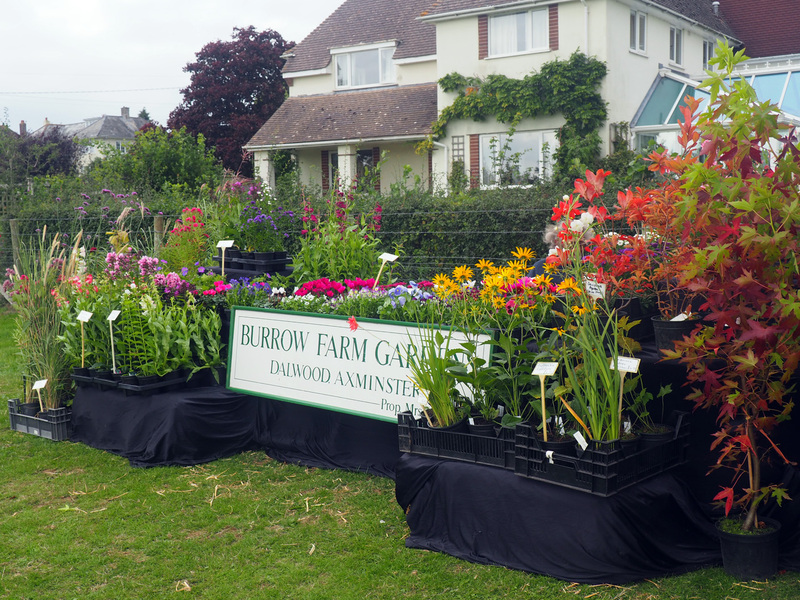 As many of you know, I’m a crafter and get to attend all sorts of fairs and events around Devon, One of my favourites takes place on the Saturday closest to Michaelmas, every September. 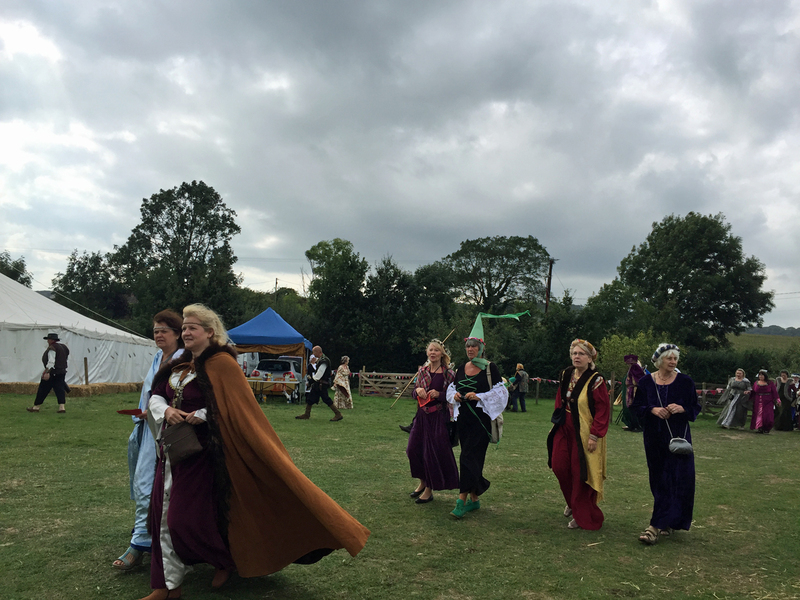 It’s Colyford Goose Fayre of course, and several thousand people visit, many dressed in Medieval costume. There’s an opening parade through the village, where everyone follows the mayor into Springfields. Morris Dance is a must. Stalls of all kinds with treats to buy. 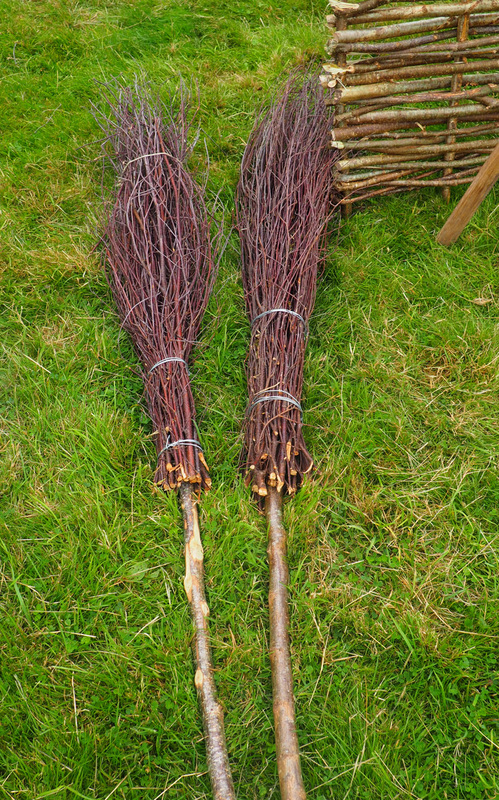 I really wanted a besom, and not to sweep up with. 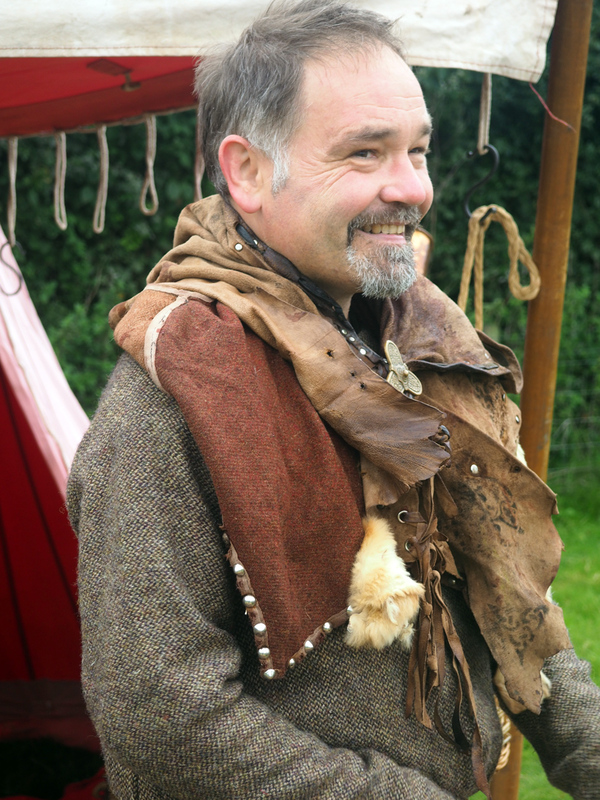 There are things to entertain the whole family, quintain, greasy pole, apple pressing, thatching displays and archery. All kinds of foods are on offer, I can’t imagine how they got the pizza oven in place. As always the ram roast was a great success, but not for me. I planned to have some pancakes but left it too late and they were sold out, so I sulked and tried a chocolate brownie which was way too sugary and not chocolatey enough for my discerning palate, hey ho, such is life. 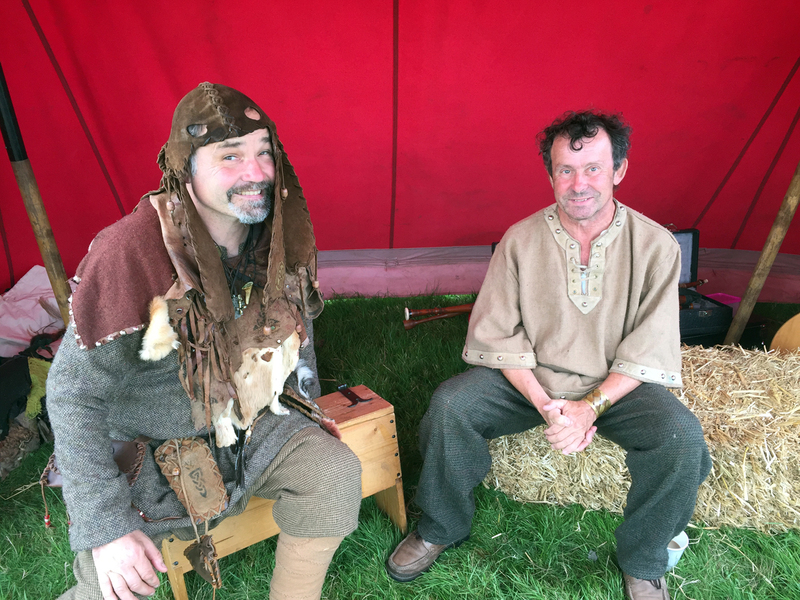 The stars of the fayre for me by far were these two guys. They have mischief written all over their faces! 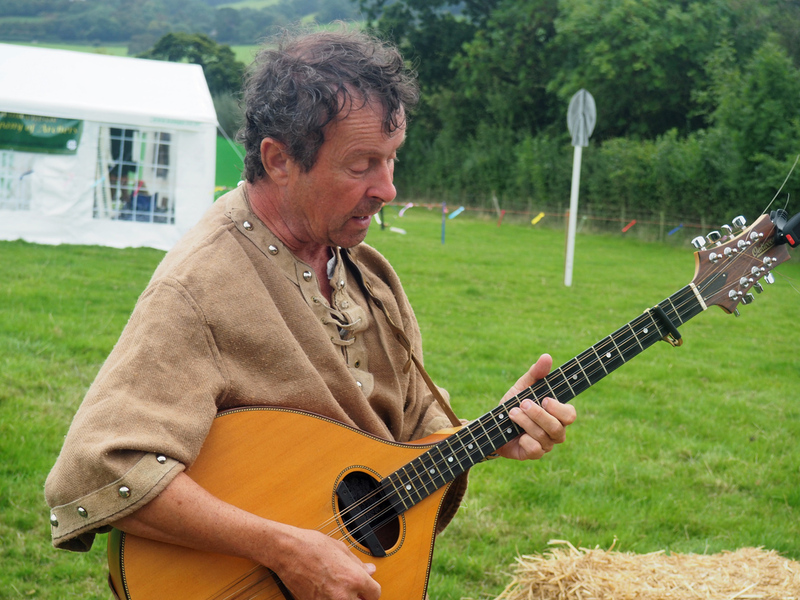 This guy and his bouzouki accompany the storyteller. And this is Dave, from Rattlebox. I only got to listen to one of his stories, the Boggart, but it was wonderfully told and I was hooked from the beginning. 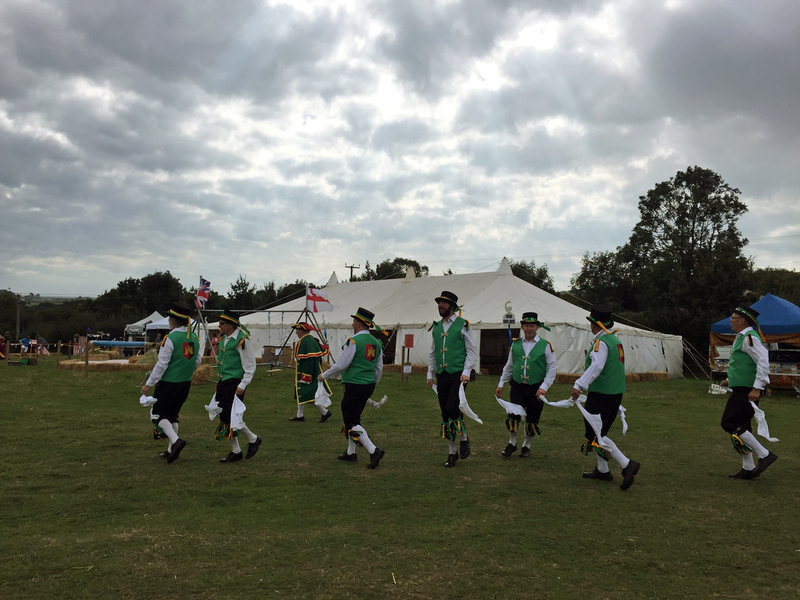 Hooray for Colyford Goose Fayre, it was a lovely day out! How grand! I wish I could be there, but your photographs take me on a delicious tour. Thank you. Off I go, trailing hugs behind me… take good care! What a cool, fun festival! Food must be delicious. What a wonderful day out. Looks like a lot of fun.